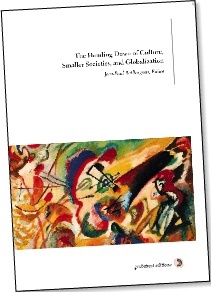 The Handing Down of Culture, Smaller Societies and Globalization is the English translation of a collection of papers presented at a colloquium of the same name at Laval University in 2001, in honour of Quebec scholar Fernand Dumont, founder of the Institut québecois de recherche sur culture, now called INRS-Urbanisation, Culture et Société. The original French edition of the proceedings, published by Les Presses de l'Université Laval in 2002, is available for purchase at http://www.ulaval.ca/pul under the title Transmission de la culture, petites sociétés, mondialisation. Jean-Paul Baillargeon is a retired honorary professor attached to the Chaire Fernand-Dumont sur la culture. He was the main organizer of the colloquium The Handing Down of Culture, Smaller Societies, and Globalization, and one of the founding members of the Canadian Cultural Research Network.